Can They Complement Each Other? 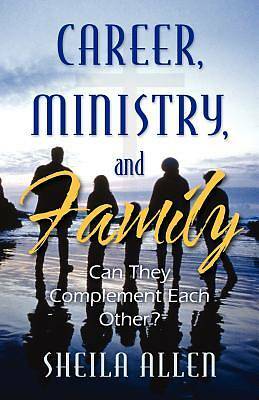 This book is written for working men and women who are dedicated to both their profession or ministry and their family. It's hard to bring a balance to both worlds. Have you ever wished there were two of you because your plate is so crowded? You need divine help to show you how to balance yourself between your two loves, and Career, Ministry, and Family: Can They Complement Each Other? can help you accomplish your goals. Your desire is to grow both your career or ministry and your family because this is definitely a part of your purpose. In this book, Sheila Allen helps you with the details. Do you have a team? You need people with the same energy, enthusiasm, passion, and dedication that you have. That would be ideal. But, where are they? Who are they? Stop! Look no further, your glasses are here, divine help has come. They are within your reach! Sheila shows you how to release your mind to the power of God to receive His perception about your assignment. It was designed to be bigger than you. You will discover treasures of information on how to execute your passion and nurture both your career or ministry and your family for God's glory! Sheila D. Allen, a native of Philadelphia, Pennsylvania, has resided in Jersey City, New Jersey, for more than 25 years. Sheila is married to Roderick Allen and has two sons, Roderick and Jonathan. Her husband is the pastor and CEO of True Vine Church of Jesus and Life Center. Sheila has worked in various capacities of church ministry and has ministered the Word of God across the United States. Her profession is enhancing and managing nutrition educators for Rutgers UniversityCooperative Extension of Hudson County.